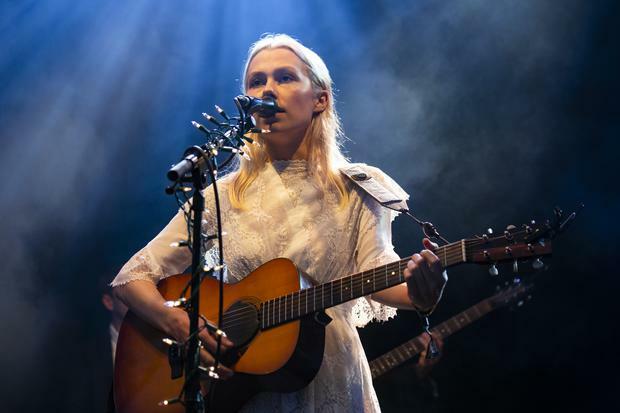 Singer Phoebe Bridgers has issued a new statement addressing the recent allegations of abuse made against Ryan Adams. Bridgers is one of seven women, including Adams's ex-wife Mandy Moore, who accused the musician of sexual misconduct, manipulation, and abuse in a report by the New York Times. In a new statement, released on Instagram, Bridgers (24) thanked her friends and family for their support and called on men and women to call out friends who behave in an abusive manner. “It’s been a weird week and I wanted to say a couple things. Thank you from my whole f***ing heart to my friends, my bands, my mom," she wrote. "They all supported and validated me. They told me that what had happened was f***ed up and wrong, and that I was right to feel weird about it. I couldn’t have done this without them." She continued, “Ryan had a network too. Friends, bands, people he worked with. None of them held him accountable. They told him, by what they said or by what they didn’t, that what he was doing was okay. They validated him. He couldn’t have done this without them." Bridgers called on people to act in cases where they see abuse being perpetrated. "Guys, if your friend is acting f***ed up, call them out. If they're actually your friend, they'll listen. That's the way this all gets better," she concluded. In the original report, Bridgers said she had a "whirlwind romance" with the artist in 2014 but claims he became obsessive and emotionally abusive and threatened to take his own life if she didn't answer the phone. Also in the report, Adams' ex-wife Mandy Moore, to whom he was married for seven years from 2009 to 2016, accused him of being "psychologically abusive". The New York Times reports that the FBI is investigating the allegations and looking into whether or not the singer engaged in sexually explicit communications with a fan who was underage at the time. Following the New York Times report, Mr Adams' lawyer Andrew B. Brettler released a statement saying: "Mr. Adams unequivocally denies that he ever engaged in inappropriate online sexual communications with someone he knew was underage."